1. Since its last UPR, Pakistan has increased its targeting of HRDs and it remains one of the most challenging countries in Asia for defenders. They face high risks including killing, arbitrary arrest and detention, abduction and enforced disappearance, surveillance, threats and judicial harassment. Many HRDs have had their offices attacked or burnt down and their colleagues killed. 2. In Balochistan, Khyber Pakhtunkhwa (KP), and the Federally Administered Tribal Areas (FATA), security agencies, religious groups, militants, and armed gangs all target HRDs. Brutal sectarian violence and numerous killings of HRDs in Balochistan have forced most NGOs to close their offices and relocate their staff outside the area. HRDs working to defend the rights of women in the tribal areas where extremist groups operate face the highest risks. 3. Pakistan’s record of impunity has fostered an increasingly violent climate for HRDs. The government of Pakistan has made no real effort to support or protect their work and instead regularly votes against UN resolutions aimed at providing better protection for HRDs. 4. During its previous UPR in October 2012, Pakistan accepted three recommendations on HRDs, concerning measures to protect the right to life and freedom of expression of HRDs, and to combat impunity of all those who attack HRDs by ensuring that perpetrators are brought to justice. Despite assurances that these recommendations were in the process of implementation, impunity still prevails in Pakistan. 5. One additional recommendation on HRDs made during the previous UPR was not accepted by Pakistan. It concerned the development of a national policy for the protection of HRDs. Pakistan also rejected several recommendations regarding its cooperation with the UN Special Procedures, including the Special Rapporteur on the situation of HRDs whose several requests to visit the country remain unanswered. 6. Since the previous UPR in October 2012, Front Line Defenders has documented 8 killings of HRDs. Not a single perpetrator has been successfully brought to justice. Front Line Defenders has also received reports of other killings of HRDs during the period under review. 7. The culture of impunity for killings of HRDs has emboldened hostile actors and fueled further violence against them. 8. On 4 March 2017, prominent lawyer and HRD Muhammad Jan Gigyani was murdered by two armed, assailants in Shabqadar, a small town located near the Afghan border, in Khyber Pakhtunkhwa. A long-time advocate for the rights of the poorest members of society, he regularly worked on women’s rights and labour rights cases in courts. 9. On 25 May 2016, transgender HRD Alesha died from six gunshot wounds received three days earlier, on 22 May 2016, in Peshawar, Khyber Pakhtunkhwa province. She was the Peshawar Coordinator for Trans Action Alliance, a group which works for the promotion and protection of the rights of the transgender community in the Pakistani province of Khyber Pakhtunkhwa. 10. On the evening of 7 May 2016, two unidentified assailants shot Khurram Zaki dead, outside a hotel in the southern city of Karachi. He was a HRD, journalist and editor at Let Us Build Pakistan (LUBP), an online news portal established to promote an inclusive and democratic Pakistan, and to support freedom of religion. In the weeks before he was killed, there had been online campaigns against Khurram Zaki and LUBP. 12. On 7 May 2014, HRD Rashid Rehman was shot and killed in an attack on his office in Kutchery Square, Multan. 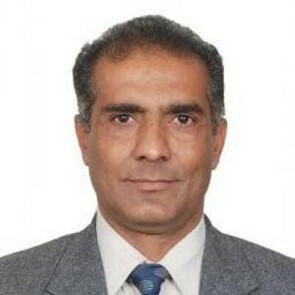 He was a human rights lawyer and a coordinator of the Punjab office of the Human Rights Commission of Pakistan in Multan, and he advocated against the misuse of blasphemy laws in Pakistan. 13. On 13 May 2013, HRD, philanthropist and social activist Abdul Waheed was shot dead in front of his infant daughter and elder brother. The attack was carried out by three unidentified assailants at his medical store in the Qasba Colony, Manghopir, Karachi. Abdul Waheed was well-known in the area for his philanthropic work, and ran an educational institution, Naunehal Public School. 14. On 13 March 2013, WHRD Perveen Rehman was shot and killed by armed motorcyclists, close to her office. Perveen Rehman was a social and economic rights defender, working with communities in the slums of Karachi. She was director of the Orangi Pilot Project, a programme helping local communities escape from poverty. 15. HRDs working on issues of minority rights, religious freedom and land-grabs are at increased risk of enforced disappearance in Pakistan. Abduction is used not only to punish protest and silence vocal HRDs, but also to intimidate and deter others from engaging in human rights advocacy. 16. In January 2017, in just over a week, five HRDs went missing. On 14 January 2017, the family of HRD Samar Abbas registered a report regarding his disappearance from Islamabad on 7 January 2017. Samar Abbas is the president of the Civil Progressive Alliance Pakistan, a human rights group based in Karachi which campaigns for human rights and religious freedom. On that same day, Ahmed Raza Naseer was taken from his family’s shop in Punjab province by unidentified men. He is a HRD and administrator of a Facebook page used to report on human rights violations committed by security forces and religious extremists in Pakistan. On 6 January 2017, Salman Haider, a HRD and a professor at Fatima Jinnah Women University in Rawalpindi disappeared from Islamabad. He works on minority rights, particularly in Balochistan. On 4 January 2017, Waqas Goraya and Asim Saeed were reported missing from Wapda Town, Lahore. They are both HRDs and co-administrators of a Facebook page, Mochi and Group: Citizens for Secular Democracy, where they campaign for human rights and religious freedom. Four of the HRDs have since returned home, but the whereabouts of one, Samar Abbas, remain unknown. 17. HRDs are the target of persistent harassment, which can take many forms and be perpetrated by different actors. HRDs have reported numerous instances of close monitoring and surveillance as well as online harassment. There are also reports of security officials cancelling events organised by civil society and of HRDs being prevented from attending such events. 18. On 2 September 2016, a team of police was seen in the vicinity of the home of WHRD Dr. Rubina Feroze Bhatti, and her housemaid was questioned on her whereabouts. The previous day, police shut down her NGO, Taangh Wasaib Organization, and temporarily detained eight of its staff members. 19. On 8 August 2016, immediately after the terror attack in Quetta which killed at least 70 people - mainly lawyers - Dr Danish, a television anchorperson, tweeted a picture of prominent WHRD and lawyer Asma Jahangir with a caption in Urdu which translated as: “When lawyers were being killed in Quetta, the so-called leader of the lawyers was enjoying herself in the northern areas.” The defamatory post was widely circulated on Pakistani social media and WhatsApp groups. 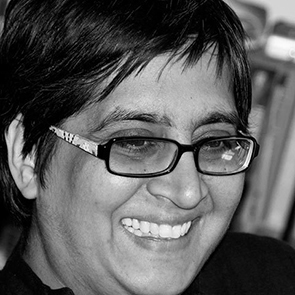 Asma Jahangir is regularly targeted with online attacks by her critics. 20. The use of the judicial system against HRDs is also widespread. Judicial harassment and slander remain common. Fabricated charges of blasphemy have been used repeatedly against HRDs, due to the overly broad and vague language of Pakistan's blasphemy laws which leaves them open to abuse. 21. On 1 February 2017, the Pakistan Federal Investigation Agency (FIA) received a complaint filed against five HRDs, Ahmed Raza Naseer, Salman Haider, Waqas Goraya, Asim Saeed and Samar Abbas (mentioned above in paragraph 16), for allegedly committing blasphemy on social media. During the course of their disappearance in January 2017, an online smear campaign was launched, labeling the five HRDs as blasphemers. The FIA ordered an investigation to be opened on Salman Haider and he is banned from travelling abroad until it has reached a conclusion. 22. 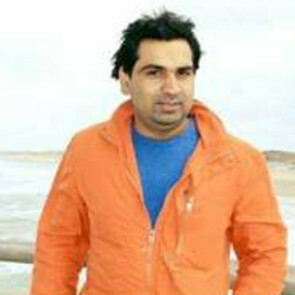 On 16 January 2016, HRD Saeed Baloch was arrested by Pakistani special forces in Karachi and detained without charge at an unknown location. Under the Anti-Terrorism Act, Pakistani special force units are authorised to detain a person for up to three months on suspicion of involvement in terrorist activities without official charges being brought against them. He was released from prison on bail on 3 August 2016. 23. Targeted attacks continue to be carried out against HRDs, fostered by the thriving culture of impunity in Pakistan. Perpetrators are seldom identified and held accountable for their crimes. 24. 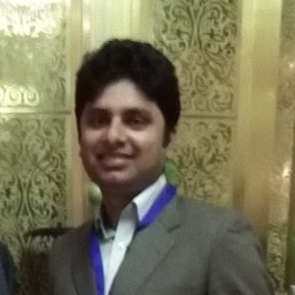 On 9 May 2016, Imran Anjum was travelling home from a conference in Gojra in Punjab province devoted to the protection of the rights of brick kiln workers when his car was chased by two men on motorbikes. The men forcibly stopped the HRD's car, dragged him and his colleagues out of the vehicle and threatened them at gunpoint, stating that they would kill the HRD and his colleagues if they did not stop their labour rights work. 25. On 2 November 2013, gunshots were fired in the street outside the home of HRD Sardar Mushtaq Gill in Pattoki Tehsil, Punjab Province. In previous months, Sardar Mustaq Gill had been intimidated by various means, including violent threats. 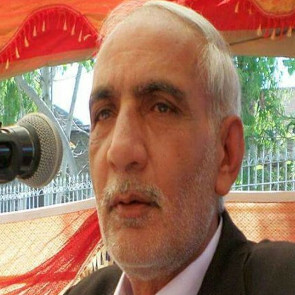 In June 2013, Sardar Mushtaq Gill was held at gunpoint by three armed men who threatened him with dire consequences, reportedly in relation to his human rights advocacy, particularly his work defending Christian women. Subsequently, in July 2013, around six members of extremist group Ahle Sunnat Wal Jammat came looking for Sardar Mustaq Gill at his home. 26. The rights to freedom of assembly and association, both offline and online, have been severely restricted by state and non-state actors, often in the name of national security, public order, or morality. The government can arbitrarily shutdown mobile services or social media platforms such as Twitter and Facebook in order to prevent the use of instant messaging applications, which are commonly used by HRDs, and prevent them from organising peaceful assemblies. 27. The Pakistani government has also attempted to shut down local NGOs for a variety of reasons, including for “presenting a very bleak picture of human rights” to UN mechanisms. In January 2017, several NGOs in Punjab received closure notices from the authorities after being accused of involvement in ‘anti-state’ activities. Some others have been told by the authorities to either restrict their activities or allow government representatives to monitor them. 28. While the transgender community in Pakistan has made some strides in recent years - the Pakistani Supreme Court allowed for a “third gender” category to be added to national identity cards, which effectively gave the transgender community increased legal standing and the right to vote - attacks on transgender HRDs remain widespread and the violence has been increasing. On 25 May 2016, transgender HRD Alesha, a member of the Trans Action Alliance was shot and killed. On 17 February 2016, a group of armed men led by a member of the Khyber Pakhtunkhwa Elite Police Force attempted to force transgender HRD Chocolate to leave her house with them before threatening her with kidnapping. Chocolate is a board member and joint secretary of the Trans Action Alliance. Earlier, on 5 January 2016, the transgender HRD Adnan, co-administrator of the online platform of the Trans Action Alliance, was shot and fatally wounded in Peshawar. The HRD had been threatened for several months preceding the attack. 29. Defenders investigating human rights violations in Balochistan and Baloch HRDs face a particularly hostile climate. The Baloch community have faced various forms of oppression in Pakistan and HRDs that have demanded justice for state violations against them have been regarded as anti-state by the Pakistani authorities. Ethnic Baloch involved in human rights activism or independent journalism have been abducted, disappeared or extrajudicially executed, reportedly by state security forces or their proxies. 30. Women HRDs face particular risks due to their gender. Besides threats by security agencies and armed groups, WHRDs from Khyber Pakhtunkhwa and the Federally Administered Tribal Areas often receive threats from their own family members, who exert pressure on them to quit their human rights work. Many WHRDs have been threatened with the safety of their children. On 20 September 2013, WHRD Sahib Khatoon was killed by her husband who disapproved of her work with a women's rights NGO in Ghotki district, Sindh. In December 2012, attacks in Karachi and Khyber Pakhtunkhwa killed six female health workers administering polio vaccinations over the course of a three-day, nationwide vaccination drive. Female health workers are permitted entrance into private homes to meet and help children in situations denied to men because of conservative rural culture. They are regularly targeted by the Taliban who denounce the anti-polio campaign as a “Western plot”. 31. The government of Pakistan opposes greater legal recognition and protection of HRDs both nationally and internationally. 32. Pakistan's Penal Code includes several sections that comprise blasphemy laws. Sections §298 (a,b,c) and §295 (a,b,c), which provide for penalties ranging from imprisonment to capital punishment, are widely used to target HRDs, especially those defending the rights of Christian minorities. Their logic, structure and formulation leave them open to misuse and abuse, and are incompatible with the rights of freedom of expression and religion. 33. In August 2016, the Pakistani government enacted a cybercrime law – the Prevention of Electronic Crimes Bill 2015 - which is being used to hamper digital freedom of expression and gives overreaching powers to law enforcement agencies. Under this law, the government is able to censor online content, criminalise Internet user activity, and access Internet users’ data without judicial review. Its section 34 in particular threatens the rights of freedom of information and expression, both integral to the work of HRDs. 34. On 1 October 2015, Pakistan announced a “Policy for Regulation of International NGOs in Pakistan” that severely limits the activities of HRDs and non-governmental organisations working in the country as it requires mandatory registration and restricts their operations to specific issues and geographical areas. The policy gives the government wide discretion to prohibit legitimate human rights work that it views as “prejudicial” to the state’s interests. 35. Pakistan has ratified seven out of the nine international human rights treaties. However, this record does not reflect the situation of HRDs on the ground. 36. Pakistan regularly votes against UN resolutions aimed at providing better protection for HRDs. During the 31st session of the Human Rights Council in March 2016, the government of Pakistan, along with others, tabled amendments requesting to remove the term “human rights defender” and references to the legitimacy of their work from the biennial resolution on HRDs, which addressed the need for protection of those working on economic, social and cultural rights. The amendments were eventually rejected. In December 2015, Pakistan was one of only 14 out of 193 states that voted against the UN General Assembly resolution on HRDs.